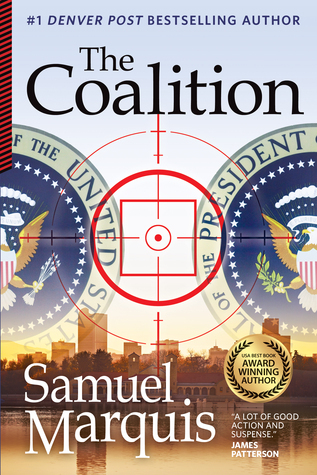 I am really excited about this new political thriller from Samuel Marquis, The Coalition is releasing 12 January 2016 and is being published by Mount Sopris Publishing. Check out The Coalition and an interview with Samuel Marquis! From the fiftieth floor of an office building in Denver, Colorado, a long-range assassin calmly watches a procession of black Lincolns. When the motorcade pulls to the curb in Civic Center Plaza, a prominent leader steps from one of the vehicles and takes the stage to make an important speech. Moments later, a loud BOOM echoes through the Plaza and the man slumps to the platform like a stringless marionette. The mysterious sniper, whose very existence is unknown to the international law enforcement community, has just assassinated U.S. President-elect William Ambrose Kieger. In the aftermath of the shocking political crime, the shooter escapes and a Task Force is swiftly assembled, headed up by Special Agent Kenneth Patton of the FBI’s Denver Field Office. A ten year vet in Domestic Terrorism, the unconventional Ken is driven to solve the crime by both professional and personal motives. His search leads him to a secret society whose diabolical and far-reaching plot threatens the very highest levels of the U.S. government. Yet the group’s motives, secret membership, and ambitious plans remain elusive. Can Ken and his team uncover the plot in time to save the day? Can they beat the countdown on the clock and catch the assassin and the shadowy group in the background pulling the strings? Or will time run out? 1. The Coalition is the third out of six novels that you plan to release in one year. That’s incredibly prolific—how do you stay disciplined and focused as a writer (especially while maintaining a career as a VP at an environmental consulting firm)? It’s not easy to juggle everything, but I do it because I love to write compelling stories. I also happen to have a backlog of seven very good novels since I have been at this for a few years and have had two New York literary agents. But the main reason I do it is because my father died last spring and my new motto is “I Ain’t Wasting Time No More,” in honor of the legendary Allman Brothers’ song. In keeping with Greg Allman’s resolute mantra, I’m not going to wait around for the supposed industry gatekeepers to get their act together and realize that I have something important to say. 2. How was writing The Coalition different from writing your previous two novels? The Coalition is a political assassination thriller that is heavy on FBI and Secret Service procedural elements so I had to interview these two agencies and review a large volume of information about them. I also had to learn a great deal about modern politics, long-range snipers, international assassins, and criminal behavioral psychology since these are critical themes in the book. These things all made The Coalition quite different from my two previous suspense novels. 3. Why do you find writing for the thriller-suspense genre so appealing? I enjoy the whole concept of getting people to turn the pages frantically and not put a book down when they know they should go to bed. For example, here are two quotes from recent reviewers that symbolize why I love to write. 4. You mentioned that you are especially interested in military history and intelligence, specifically related to the Golden Age of Piracy, Plains Indian Wars, World War II, and the War on Terror. What is it about those subjects that fascinate you, and does that fascination influence your work? The short answer is that I’ve always loved history, especially the underdogs and iconoclasts of American history. Because of my passionate interest in the specific historical subjects listed above, I am always working them into my books. In Blind Thrust, my hero, Joe Higheagle, and his resourceful, curmudgeonly grandfather, John Higheagle, are both Northern Cheyenne Indians because I am a Plains Indian War aficionado. This stems largely from my legendary writer-ancestors who have served as two of my influences: Dr. Thomas B. Marquis, who chronicled the Cheyenne Indians, Custer, and the Battle of the Little Big Horn; and Marquis James, a two-time Pulitzer-prize-winning Western author. As a further example, my protagonist in The Coalition is FBI agent Ken Patton, a history buff, lead miniature collector and painter, and the great-grandson of legendary, controversial, cigar- chomping World War II tank commander General George S. Patton. 5. Did The Coalition require any special research? I conducted extensive law enforcement and sniper research to complete the novel. I received extensive assistance from the FBI Denver Field Office and the U.S. Secret Service in Washington, D.C. The staff at both of these agencies patiently answered my questions on agency protocols, firearms, DNA testing, ballistics, fingerprinting, long-distance shooting, and interagency task force procedures as well as described in detail what work day life is like for both senior-level staff and field agents. I spent an entire day at the FBI field office in Denver and the staff was incredibly helpful. The Coalition greatly benefitted from the expert advice given by the numerous professionals at both of these agencies as well as the information available on their websites. 6. Who are your greatest literary influences? In terms of literature and literary fiction, I am a great admirer of Hawthorne, Fitzgerald, Hemingway, Steinbeck, A.B. Guthrie, Jr., Michael Shaara, Larry McMurtry, E.L. Doctorow, and Charles Frazier. For non-fiction my roster of greats includes Robert Utley, Stephen Ambrose, Kevin Duffus, Shelby Foote, Ben Macintyre, S.C. Gwynne, and Hampton Sides. My favorite commercial fiction writers are Frederick Forsyth, Gore Vidal, James Clavell, Dennis Lehane, Daniel Silva, Preston and Child, Ken Follett, Stephen Hunter, Richard North Patterson, Kyle Mills, Michael Crichton, and early Grisham. I tend to gravitate towards authors who tell stories in the same way I do and to subject matter dealing with my areas of research interest in pirates, the Plains Indian Wars, World War II, the War on Terror, and modern science with a geological, biological, or paleontological component. 7. What is the number one thing you want readers to take away from your novel? I want people to root for the underdog. All of my books feature underdogs, iconoclasts, and sympathetic villains that are torn up inside on account of the havoc-causing decisions they are forced to make. 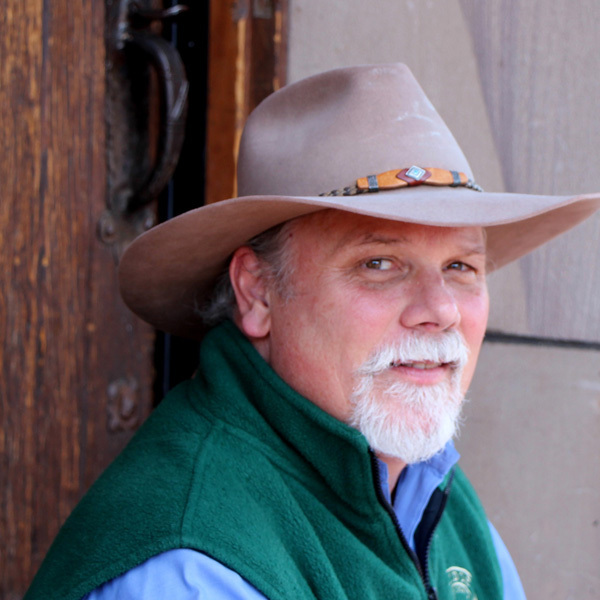 in Boulder, Colo., and by night as a writer of historical and modern suspense novels. He holds a Master of Science degree in geology, is a registered professional geologist in eleven states and is a recognized expert in groundwater contaminant hydrogeology, having served as an expert witness in several class action litigation cases. He also has a deep and abiding interest in military history and intelligence, specifically related to the Golden Age of Piracy, Plains Indian Wars, World War II and the current War on Terror. His strong technical scientific background and deep passion for military history and intelligence has served Samuel Marquis well as a suspense writer. His first two thrillers, The Slush Pile Brigade and Blind Thrust, were both #1 Denver Post bestsellers for fiction and garnered four- and five-star reviews from professional reviewers. Blind Thrust was also an award-winning finalist in the fiction: thriller/adventure category of the 2015 USA Best Book Awards. Former Colorado Governor Roy Romer said, “Blind Thrust kept me up until 1 a.m. two nights in a row. I could not put it down. An intriguing mystery that intertwined geology, fracking, and places in Colorado that I know well. Great fun.” James Patterson has compared The Coalition to The Day After Tomorrow, the classic thriller by Allan Folsom. Donald Maas, author of Writing 21st Century Fiction and two novels, has compared The Coalition to the legendary assassination thriller The Day of the Jackal. Other book reviewers have compared Marquis’s WWII espionage novel, Bodyguard of Deception, to the spy novels of Daniel Silva, Ken Follett and Alan Furst. In addition to his novels, Mr. Marquis has published over 25 articles in peer-reviewed scientific journals/books and has provided principal expert litigation support and senior technical oversight on a variety of remedial, hydrogeologic and sustainability projects.